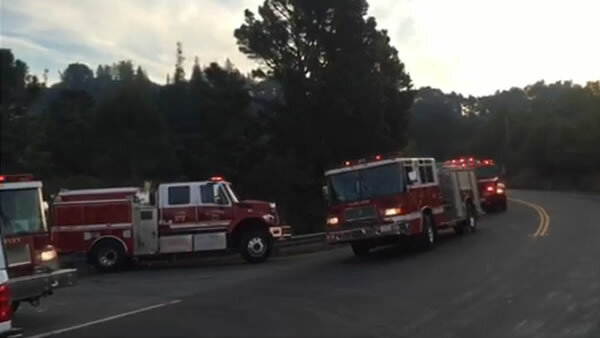 BERKELEY, Calif. (KGO) -- Multiple agencies responded to a one-acre vegetation fire on Berkeley's Grizzly Peak at South Park Drive, Oakland Fire Batt. Chief Geoff Hunter said. The call first came in at 5:44 a.m. Sunday and at least 20 fire trucks went to the scene. No homes were threatened. The cause of this fire is under investigation. Grizzly Peak Blvd. is closed in both directions.